If I was in Sydney next Friday, June 20th, 2011, this is what I would be taking part in. The Punk Commute. 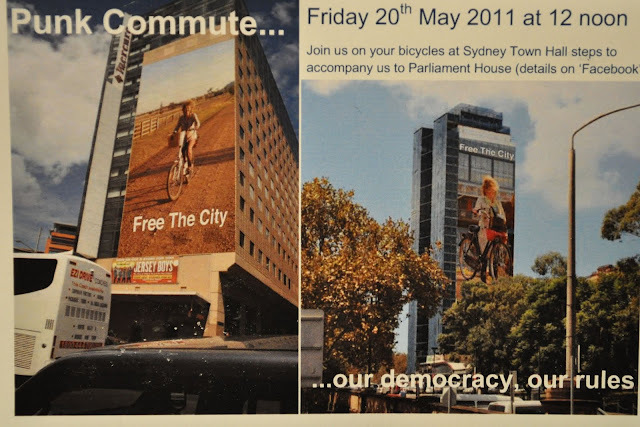 Organised by Copenhagenize darling, Sue Abbott from the Freedom Cyclist blog. The event in Melbourne last July was great fun... now it's Sydney's turn. Come on, Sydneysiders and Australians at large. Rationality is the new black. Announce your imminent participation on the Facebook event page.